Make yourself at home in one of the 83 air-conditioned guestrooms. Complimentary wireless Internet access keeps you connected, and satellite programming is available for your entertainment. Bathrooms have showers and complimentary toiletries. Conveniences include phones, housekeeping is provided daily, and you can request cribs/infant beds (complimentary). 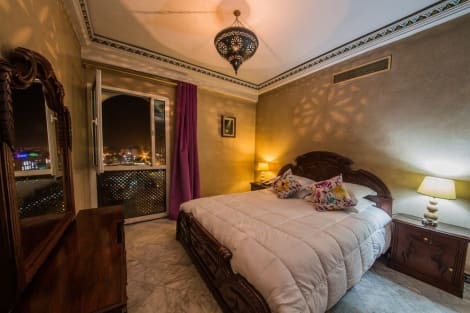 With a stay at Menzeh zalagh 2 boutique hotel & sky, you'll be centrally located in Fes, within a 10-minute drive of Blue Gate and Borj Fez Mall. This hotel is 0.8 mi (1.3 km) from Royal Golf de Fès and 0.9 mi (1.4 km) from Royal Palace.